​Gael: Mark and I have experienced incredible traffic growth on Health Ambition using Pinterest as our primary social media marketing vehicle. To be honest, we overlooked the network completely at first but started working on it after speaking to Jim about Pinterest marketing strategy. Now Pinterest brings us close to 1000 visitors a day on complete autopilot and converts into email subscriptions better than Google’s traffic. Honestly, you could build a small business or niche site on Pinterest alone. 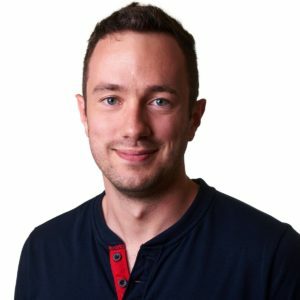 Today we’re extremely lucky to have Jim explain how he does things and generate thousands of hits/day (and revenue) using Pinterest in a very detailed step by step plan. This is one of our cooler blog posts, so we hope you guys like it and he’ll be here to answer your questions in the comment section as well so don’t hesitate! Compared to other social media platforms, Pinterest can be a highly effective way to get both new visitors to your website and more social signals for better search engine result rankings in Google. In fact, it’s one of my main content marketing strategies these days. It is one of the fastest growing websites on the internet and is particularly powerful for sites with interesting images on their webpages or other good visual content (as well as e-commerce). Most people concentrate on Facebook and Twitter in their social media strategy, but I’ve personally found Pinterest brings around double the traffic of Facebook to my website, even though I have a similar number of followers on each account. As for Twitter, while I don’t focus on it as much anymore, the ratio of Pinterest traffic to Twitter traffic to my site would be in the order of many hundreds of times more. There are also, at the time of writing, more than 4,000 backlinks showing in Google Webmaster Tools to my main site. These are nofollowed backlinks, but most SEO authorities seem to believe they still have value. Moreover, Pinterest traffic tends to be way more engaged with content than your average social traffic. Here’s a snapshot of our conversion rates on Health Ambition. Email opt in rate from Pinterest traffic on Health Ambition. Regardless, Pinterest is now the second biggest source of traffic to my website after Google, and ahead of both Yahoo and Bing. I believe this is primarily due to the way I pin and how I leverage group pinboards, as I’ll explain in detail in this article. Pro tip: Focus on social networks that can drive a lot of referral traffic, not those who have the most people using them. Most people want to use their website name for their Pinterest account, but I’ve found a personal name and picture is much better (remember: Pinterest is all about user-generated content, so it’s good to be personal). This would ideally be a female name, as Pinterest uses are overwhelmingly female (around 80% currently), but male is fine too as long as it looks like a real and friendly person. People on Pinterest seem to be quite wary of following Pinterest accounts that are obviously just about promoting their own website’s content and this strategy is usually an uphill battle. There’s a much easier way to make Pinterest work for you, and I’ll give step by step instructions for this ahead, so a personal account is usually a better option. That said, something I’ve had even more success with on Pinterest recently is creating new accounts for clients based on a specific theme. For instance, someone with a website on working online while traveling the world might create a Pinterest account called something like ‘Nomadic Lifestyle Design’; a person with a spiritual blog might name their account ‘Mindfulness Living’; or a health food based website might join Pinterest under a name like ‘Natural Nutrition’. Whether you choose a personal name, theme or website branding for your Pinterest account, make sure you use the profile writeup (that you fill in when you create it), to describe what you’ll be pinning about in a personal way. Avoid any business/marketer’s speak as Pinterest definitely isn’t the place for it. There can be some small benefit in using any unique keywords you’re focusing on in this profile writeup, as users can search for terms in Pinterest under individual pins, pinboards or Pinners. That said, it’s far more important to create a good first impression with your profile writeup. Anyone visiting your account will quickly deciding whether to follow you or not, so you probably only have a few seconds to show that you’re worth following. Also make sure you have a smiling picture or an image that describes what your Pinterest account is all about on your profile. Perhaps a tropical beach for a travel account, or colorful fruits and vegetables for one on nutrition would work well. No picture usually means beginner account or spammer so add one straight away. Pro Tip: Focus on topic idea profiles as opposed to branded profiles, they get more followers and repins. Once you have your account, the next step is to create pinboards. Delete the ones Pinterest comes with and think about the type of titles that people you want to follow you would be interested in. Once again, these are searchable in Pinterest so specific terms could be useful. Most people create far too many pinboards, covering all manner of topics. If you’re using Pinterest for business this is a mistake as these are difficult to manage and dilute your potential impact. Pinterest uses will generally follow you by your individual pinboards, rather than your whole account, so you’ll want to stay tightly focused on a single theme and ideally have 2 to 3 main pinboards, 4 to 5 at most. Keep on just one topic per Pinterest account if you can and one main branch of that topic per pinboard. If you enjoy using Pinterest personally and want to pin topics outside of your area of focus, you can create 3 private pinboards for this purpose that don’t appear in your Pinterest profile publicly. Click on the “create a board” button on the front page of your profile. Add a writeup for each individual pinboard, with keywords if they are very specific. Also make sure you assign it to the appropriate category when creating it, like travel, health, food, etc. In order to make your new pinboards look respectable is to search in Pinterest (top left on the screen) for search terms related to your theme. Switch to ‘Boards’ rather than ‘Pins’ in results and look for other accounts with a similar theme to yours. Once you find them, follow the individual boards and quickly pin some of their most interesting content onto one of your own new pinboards. The red ‘Pin It’ button appears in the top left corner of each picture you hover over for this. Do this with around a dozen different pinboards in your theme from various accounts until you have at least 20 new pins in each of your pinboards (and even do some promoted pins if you feel feisty). Follow any pinboard that you pin from as a matter of habit (though not the whole account). People are notified, either by email and/or the top right-hand notification area of their account, that you followed them and will often follow back. This will get you your first few initial followers to build from. Now’s a good time to mention that you’ll want to go into your account settings under notifications and turn off all email notifications. They’ll soon get ridiculous if you don’t do this and it’s best not to sign up to Pinterest under your main email for this reason. The real power of Pinterest is in its group boards. These are community pinboards that someone created and invited a bunch of other people to pin to. The biggest of these on Pinterest have hundreds or even thousands of group pinners and often hundreds of thousands of followers. Every time someone pins to one of these group boards, that pin potentially goes on to the front page feed of everyone following that group board. Of course, they’d have to be looking at their front page feed at the time to see it, and the Pinterest algorithm likely plays a role in each pin’s visibility. Regardless, even a small percentage of several hundred thousand followers is still a significant number. When you pin to a big group pinboard, your pins also remains there for people to scroll down and see if they browse that board. Additionally, bigger group boards are much more likely to be crawled by Google. I’ve even seen individual pins appearing on the front page of Google search results (admittedly for usually quite obscure terms, but there nonetheless). So with group boards being so powerful, how do you get on them? You have to be invited and unfortunately spammers are making this more and more difficult. Wouldn't it be nice to expose your content to 44,000+ followers in just a few clicks ? All you need to do is get invited to this community board. Just six months ago on Pinterest, most group boards would tell you in their writeup to comment on one of their pins or email them to be added to the board as a group pinner. Some even had dedicated ‘Add Me’ pinboards you could simply put your name down on to get an invite. 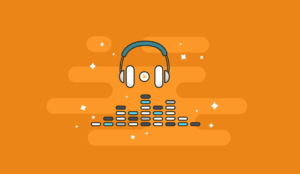 Lazy spammers, constantly flooding group boards with the same off-topic marketing pins, have made many big group board owners cautious about inviting new people. Because of this a good percentage now state ‘no new invites’ on their group pinboards. You can usually still find some group boards that do allow invites in your niche. But, since there’s currently no way to search specifically for group boards rather than private ones on Pinterest, it can be hard work to find them. Start by looking for big individual Pinterest accounts in your theme that themselves are already members of many group boards. 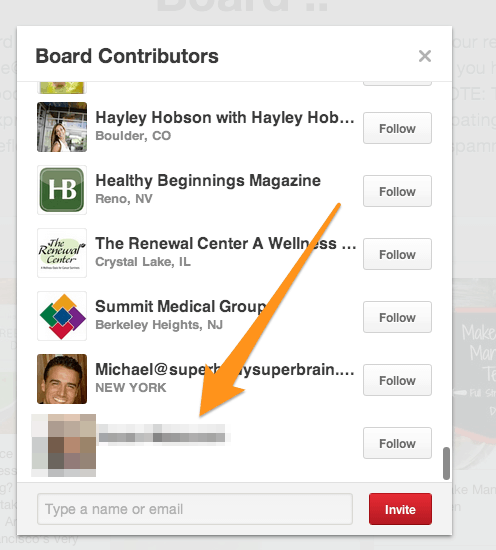 The top right of a pinboard in someone’s profile on Pinterest that has a gray symbol like three heads indicates a group board rather than an individual one. Open each of these in a separate window and look to see if the owner has written instructions on how to get an invite to the group board. If so, first follow the group board and then follow those instructions and wait. Don’t ask repeatedly as you’ll probably annoy the group board owner and may get blocked. Something to consider before you ask for an invite to a big group board is how easy it is for that person to see exactly what you’ve been pinning. Click on anyone’s account and just under their profile writeup on the left is ‘Boards’ followed by ‘Pins’. The ‘Pins’ tab shows a list of all your recent pins you’ve been pinning and if these are all the same picture or obviously spammy links then a group pinboard owner is likely to ignore your request and quite possibly block or even report you. If you’re blocked you won’t see that person’s group boards or account again on Pinterest, and if you’re reported often enough, your account can be closed down without warning. Reporting a spammer has become something of a sport on Pinterest in recent months, making spamming a very dumb strategy to go with long term. While I know some people will still spam, it really seems like a losing battle if you want your accounts to last more than a few days, especially when there’s a much easier way to get your message out and still add value, as covered in the next section. If you find a popular group board that you’d like to join, but that doesn’t say anything about invites in its writeup, then look for the first group board member in the row of small pictures of Pinners in the upper left of the page. This is the group board owner. Have a look on their account and see if there is an ‘Add Me’ board (usually at the top) or instructions on how to join their group boards on their main account writeup. If not, you could try checking their recent pins (top left under their profile writeup) and commenting on one of their pins asking to join the group board. To find a group board owner, scroll down the list of pinners. The first pinner is the owner. Using the @ symbol before their Pinterest name can help if they have notifications turned on. Remember that you have to be following the group board first as well to be invited. If you have or intend to start a Pinterest account in areas like healthy living, nutrition, food, recipes, natural beauty, fitness and similar, I have access to dozens of these group boards that do allow me to invite you. I can usually get someone with a good website up and running on Pinterest with a huge potential reach through various group boards in an hour or two. My Upwork profile has more details, but please don’t bother if you’re a hit-and-run spammer. These methods won’t work and you’ll only get banned. Pro tip: Community boards are powerful but if you spam them you'll be reported and banned from Pinterest. While they won’t be as big initially as the large group board you’ll see on Pinterest, it can be good to turn your own pinboards into group boards as well, once you’ve gotten a couple of dozen followers to them. To do this you go to your pinboard and hit ‘Edit Board’ in the center. Down the bottom look for the ‘Who Can Pin’ invite section. Only people who are both following you and you are already following as well can be invited, so it’s easiest to just start typing letters of the alphabet one at a time into this field and see who comes up. Select the ones you want and an email invite will be sent and/or a notification will appear on their Pinterest account. Obviously I’d avoid inviting accounts called ‘Designer Handbags’ and the like to your travel or recipe group boards as that is what they’ll be likely to pin. Yet another reason to go with a personal name or an appealing theme so people know your topic. If people do accept your invite, then your group pinboard will appear on their Pinterest account page and anyone who sees it can follow it from there. With 100 group board followers there’s 100 different places a Pinterest user can find your pinboard and follow you. Generally bigger Pinners with more followers are much better to invite, though they are also less likely to follow smaller accounts. The bigger you get the easier it is to get followers on Pinterest, which is why I’ve always found getting your first hundred followers is harder than going from a hundred to a thousand followers. Most people on Pinterest monitor their feed or visit other people’s pinboards and re-pin the pins they like onto their own boards for a permanent visual bookmark back to that webpage. On other websites you’ll find Pinterest’s own Pin It button for your browser’s bookmark bar makes pinning much easier than copying the url each time you want to pin something. If you’re pinning from your own webpages and want people to repin more often the most important element is good pictures on the page. Obviously, using copyrighted pictures on your website is an issue so many people use stock image providers like Shutterstock, though Flickr Creative Commons and Wikimedia Commons are good free alternatives. Vertical pictures tend to do better on Pinterest as they take up more visual space, though distinctive horizontal pictures are also fine. If you have important pages that you’d like to pin a bit more often, it’s good to have two or three different pictures on the page so you can mix up the picture you pin to Pinterest with. Alongside your main pinboards that you’ll turn into group boards with other Pinners, it can also be helpful to have another personal pinboard just for pinning your own urls. You might call this source pinboard something like ‘Travel Articles’ or ‘Best Recipes’ and here you can pin all of the webpages you want to pin regularly. Personally, I’d still recommend mixing this up so it’s not all from the one website. I usually alternate the content of around half a dozen different sites I want to pin from for variety, but if you only have one website, at least add in the occasional pin from other sites so it’s not all from the same url. Once you have this source pinboard and a bunch of group boards to pin to, you can start from the top of the source board and pin down to all of your group boards (including the ones you’ve made yourself), one at a time with a different picture and url to each. Pinning this way, no one can look at what you’ve been pinning and think you’re a spammer. You also won’t set off alarm bells on your Pinterest account for just pinning from the same website (something that’s apparently been happening more often lately on Pinterest). I’d recommend only pinning twice through your group boards per session and, as you work down through your source pinboard, you shouldn’t be pinning the same pin twice until you reach the end and start from the beginning again. It’s also better to pin for 5 minutes at a few different times of the day than doing a solid 20 minutes of pinning four or five pins to each group pinboard. Flooding group boards, particularly with pins from the same website, can get you banned, so short pinning sessions are much better. Some people do want to outsource this process, which is fine, but I’d make sure your assistant understands this process well and doesn’t go overboard and risk your account. Also, Pinterest usually detects logging in from a different country, so if you’re ready to have a VA do your pinning, it’s best to logout, change the password, give them the new password and let them log in and run things from there. Email verification may be needed once, but if you continue to log in yourself, while they’re logging in from the other side of the world, it can become problematic. With American women far and away the biggest group on Pinterest, the best times to pin are usually after lunch, late afternoon and later in the evening US time. Keep that in mind with your own timezone if you’re outside of the USA. The term Pinterest widower is an accurate description for husbands whose wives get addicted to Pinterest. Be careful of this yourself. It can be highly addictive but, once you’re set up properly, you’ll get much better results with just a few 5 minute sessions a day at the optimal times, rather than spending an hour pinning at a time. Couple this with the occasional search for new group boards to join and mass inviting people to your own group boards every couple of weeks and you’ll be well on your way to having thousands of followers, dozens of repins every time you post and social media traffic that leaves Facebook and Twitter for dead. Additionally if you are looking to speed the tedious Pinterest tasks up, we love to use Tailwind app here at Authority Hacker. Tailwind App is the best Pinterest scheduler on the market and it’s extremely affordable compared to the amount of traffic it can earn you! Jim is a Pinterest specialist who can be hired to quickly get you up and running on Pinterest through His Odesk profile if you want to contact him. These are some really well explained Pinterest tips. Thanks for all the useful information! Don’t know why but suddenly every known influencer has started talking about the power of Pinterest. I’ve been on Pinterest but looka like I have to start taking it seriously. Thank You for the guide. Small tips from my end from the knowledge I’ve gainied after reading so much these days about Pinterest :- Don’t consider Pinterest as a Social Media, rather look at it as a Search Engine. I agree on the search engine part! Thanks for dropping by! I’ve taken a number of courses on Pinterest and also the algorithm keeps changing which makes the info outdated very quickly but still I found value in this article thanks to Jim and you. God keep blessing you people! One question: I can’t find the ‘social pin sniper’ anywhere. Do you still use it? If yes, can you link it here, or if there’s a good alternative that you know? Hey Hena, glad you enjoyed the article, it looks like pin sniper is not working anymore. We’ll look for an alternative and edit this post. I’ve been posting to Pinterest for a while now and having some traffic but nothing spectacular. It seems like I need to start optimizing the pinboards as I have to write a description on them. I’m that much of a novice that I never even looked at using group boards which I’m sure would be great for niche based sites. 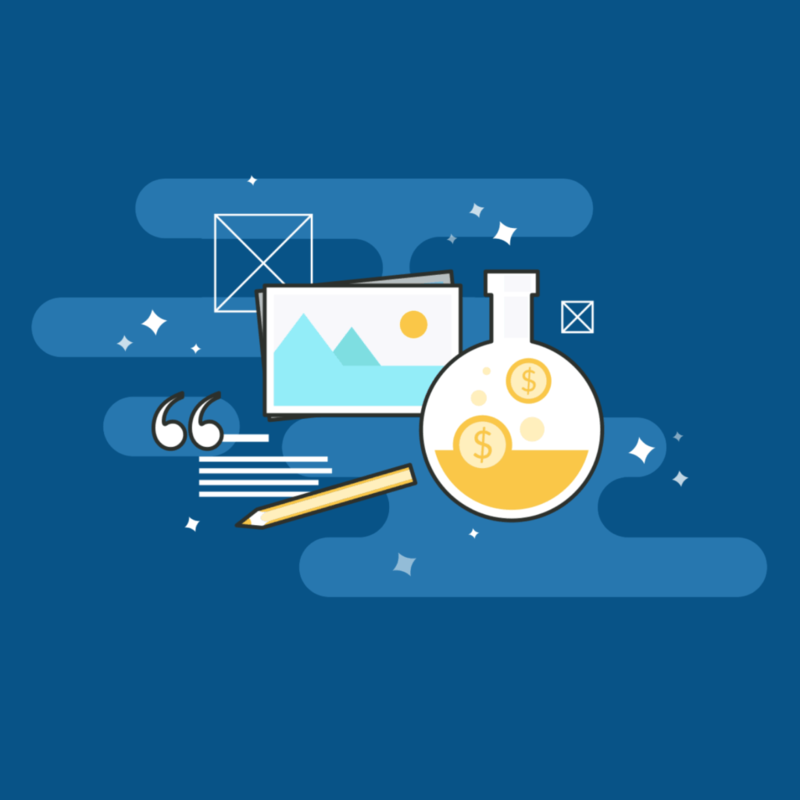 Using your graphic sizes and example images the best images to post would be infographic types. Well that gives me something to do. Yep, you need to optimize for the platform (as usual) to get results. Good luck with your endeavours Peter! Many thanks for such a great informative post! I can not source the chrome extension ‘Social Pin Sniper’ to use on the Tailwind app. Is this extension still available or has it changed name? Unfortunately it’s not available anymore, we’ll update the post soon :/. I’ve heard that pinterest works more like a search engine. I’ve seen that many people with tons of followers use their profile and boards descriptions like keyword tags. Is this a good strategy regarding to the algorythm of pinterest? How much emphasis should we do in terms of keywords when pinning an image? Guy’s…From the bottom of my heart….THANK YOU! You have given me knowledge I would have found nowhere else, you guys made me realise that i know nothing thankfully you guys changed that and i have crisp clear direction up ahead. Forgive my statement but without you guys it would have taken another 10 years! Wow. Never thought of it this way before. No wonder why Pinterest seems like a small platform to me before, as I’ve probably never understood how it works until now. Awesome article! Thanks! When you say “I’d recommend only pinning twice through your group boards per session”, does that mean twice in each board per session, or twice total? And also how many sessions do you usually pin per day? Am I looking at pinning 6 pins total a day, or 60 pins total a day throughout all of my boards? ( referring to the resource money pins). Thanks again! Twice daily essentially. So if you have 10 group boards, 20 group board pins total daily. 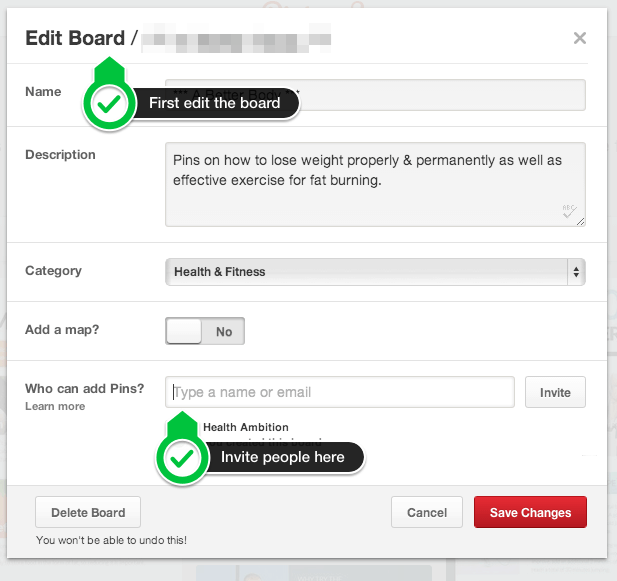 Hey guys, I love the Pinterest plugin you’re using on Health Ambition. Which one is it? The one I have tried doesn’t work with Thrive Content Builder which is annoying! Thanks! Hey Steve, it’s Sumome :). I wanted to take you up on your offer using odesk to get on some of the group pin boards but I see you’re no longer taking new clients. If you’re still doing this let me know as I’m interested. And to Gael, thanks for the awesome site. Keep on pumping out great content. You’re welcome Westin, I think you can still message Jim, he’ll at least forward you somewhere where you can get Pinterest work done. Great piece of content! I’m planning to use Pinterest soon to really get a nice stream of traffic. I know you guys work on Health Ambition, and I’m wondering how do you have such an amazing followers to following ratio? You have like 1000 followers to only 100 following, while when I try to promote via Pinterest I have something like… 1000 followers and maybe 950 following. Doesn’t look good for me. Hey Jack thanks for dropping by. There’s a few ways we do that: we invite people to follow us via our autoresponder (no need to follow them). and we pin a lot and get repins so people follow us based on the pins not us following them. Check the video to see how we schedule the pins. I see, Tailwind seems really powerful. I’ll get to using that right away. By the way, I am an aspiring Pinterest marketer and am growing a Pinterest account from scratch – my current audience is pretty much 0 people as I’ve pretty much just launched my site. I heard Pinterest traffic is very profitable and converts well because of how targeted it is. How would you go about building an audience on Pinterest from scratch, assuming that you don’t have a list yet and your site isn’t popular? The dilemma I’m facing right now is that I’m going to be following people every single day to get their attention so they check my profile out and follow me and check out my pins, but I don’t want to do self-promotion too much at the beginning because it’ll get redundant pretty soon. On the other hand, I don’t want to wait until I have 2000 followers, and then start promoting my pins because then many of my followers will probably have forgotten about me. I agree with you that Pinterest is one of the best social network to focus on but, i also believes that it all depends on your niche or, does it equally do very well on every niche? I think its all about being focused. Most of us are usually focusing on almost all the social media sites on the internet at the same time thereby trying to kill many Birds with just one stone and hence, missing all the Birds. But if one can really choose that one social media site that is very relevant to his niche and give it all his time, I’m sure he will be able to maximize result. Excellent article, and extremely helpful! Any chance you will be back and available on upwork any time soon? I’d love to be able to utilize your services! Hey Jordan, thanks for dropping by, feel free to ping Jim but I think he has been quite busy lately :x. Hey Gael, this page is just pure GOLD. Jim Dillon, I will be getting in touch very shortly. Damm that’s a nice article!. I’ve been using Pinterest for the last 2 month and I;m loving it!. With eye-catching pins you can drive huge amounts of traffic. My niche isn’t very big there but if your into health or food etc it’s dynamite. Yep, Pinterest is one of our hottest traffic source atm, I’ll probably make a post on how we automated it to 1000+ hits/day now sometime soon. Not having too much luck with this so far, this week I’ve followed 120 boards and repinned hundreds of pins onto my board. Still have yet to get a single follower. Anyone else having difficulty with this? Thanks Jim (and Gael) for this great tutorial! I have already been putting the steps into action. One question, do you recommend switching to a business Pinterest account in order to be able to see stats for your Pinterest boards? Do you think it looks better to keep your account as a personal Pinterest account, similar to the reasoning of using a personal name rather than a brand name for your Pinterest profile? Can anyone tell the difference? You made really great points. Thank you so much. At Professorsavings.com, we teach video on how to eliminate debt and savings. Pinterest appears to be great for us since we are highly visual. I want to talk to you more about your service. I use Elance. Do you have an account on there? I thank you for this article which I am sure took a lot of work. I’ll send this over to Jim ;). Hi Rayfil and thanks for your comments. I’ll contact you directly through your website. As long as it’s a good fit for your area I’d say it’s worth joining if you can. Sometimes smaller group boards get better engagement as there’s usually less Pinners and your pins stay around for longer. Hi Jim, thanks for your informative post! One tiny question, when looking for group boards to join, what’s your recommended minimum number of followers (i.e. not worth the effort if smaller than this)? Thanks for sharing this! I think you and your team nailed this big time! I started using Pinterest very early but stopped after sometime. Now I’m back with some new tricks and tips (some from yours) and its working very well! More and more companies are already engaging in Pinterest and I don’t see any reasons why we shouldn’t. Have a blessed Sunday and take care! The write up is great and helpful. I am an intern,working on a seo project. This write up would definitely, help me get through my current assignment, that is working on Pinterest. Thanks a lot, this article is of great help. Thanks for the positive comments Joona. Used properly I think Pinterest can be a big benefit for the right kind of websites. This was a really great writeup, it’s obvious you know what you’re doing with Pinterest.